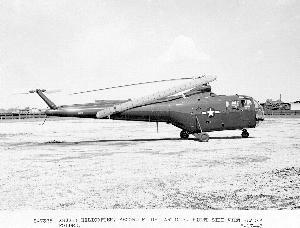 Continuation of the S-51, developed in 1948. Able to accommodate up to 5 passengers or be fitted with a hoist; capable of night operation. Resources related to the XHJS-1 (S-53), provided by the Vertical Flight Society. Resources related to the XHJS-1 (S-53), provided by public sources across the internet.